A massive volcano that could end life on Earth could erupt in a matter of decades, not hundreds of years as previously thought. A massive supervolcano lurks under the surface of Yellowstone National Park, and an alarming new report indicates that it could blow a lot more quickly than scientists realized. Don’t worry, it’s almost certainly not going to happen in our lifetimes, but it’s a fascinating finding that could change our understanding of this incredible national park. 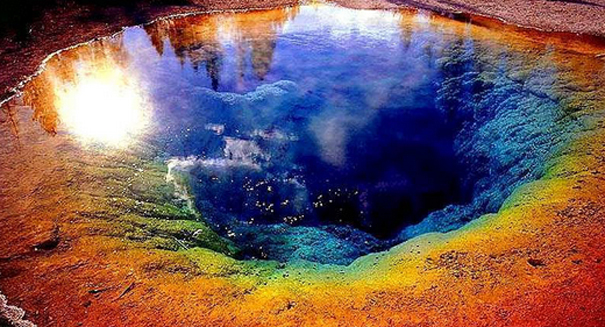 The gigantic magma reservoir underneath Yellowstone that results in much of the natural beauty of the park is also incredibly deadly, as it could cause an eruption so large it could trigger a mass extinction event worldwide. And while there’s no sign that it’s close to erupting, it would take just a few decades for it to happen rather than hundreds of years, so we wouldn’t get nearly the amount of warning we thought we would. Yellowstone is an extremely well monitored volcano, perhaps the most well monitored in the world, so even if things suddenly started shifting dangerously toward eruption, we’d have decades of advance notice. Of course, once it erupts, there really won’t be any place to hide on Earth.